Claude Larson is a visual artist, science teacher yogi and energy healer who has resided in Sussex County since 1986. 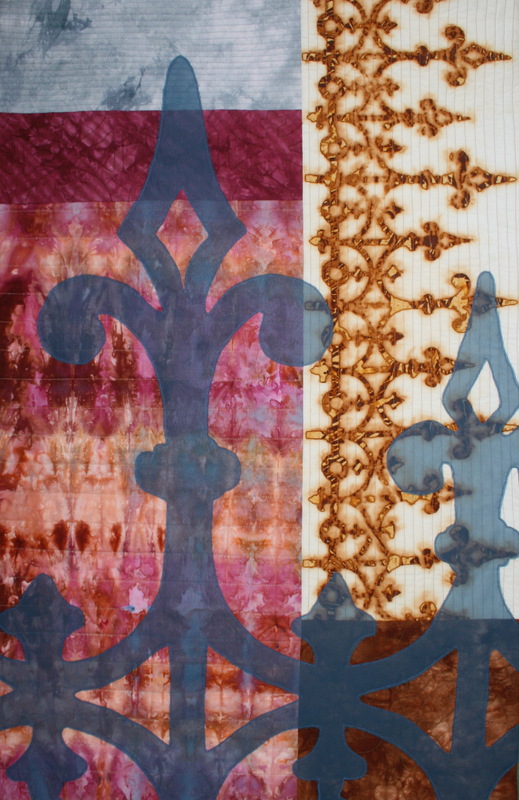 Her primary focus for art is textiles however she also experiments with mixed media. Because of her interest in science and the natural world, her work is inspired by and grounded in nature. 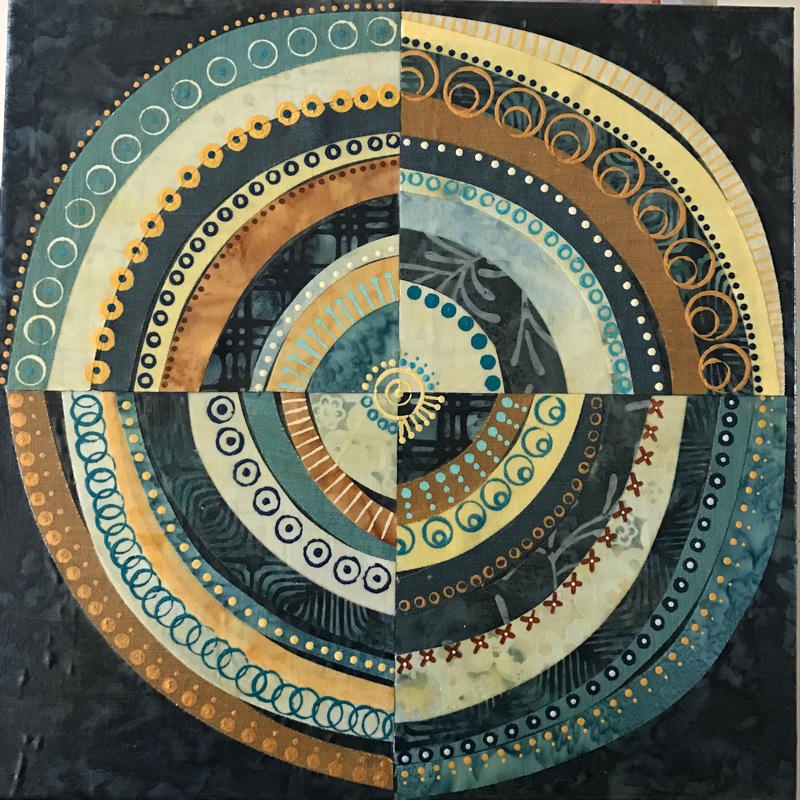 Some of her favorite techniques include collage and surface design of fabrics. 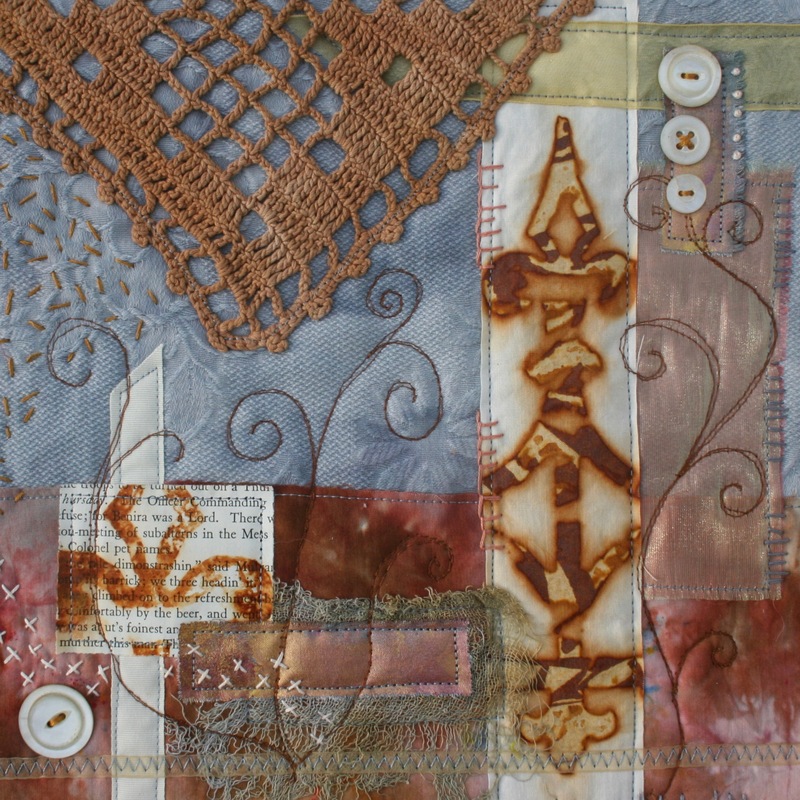 She uses color and texture in fabric and line through stitch as her main elements of art. Most of her work is abstract. Pieces that are representational are generally not realistic but invite a sense of whimsy through vibrant colors and varied textures. Her studio is named “Random Acts of Piece” which describes her work style. Using a single textile or element she works intuitively and randomly. Her pieces have a quiet complexity, much like the natural world that inspires her. You can see her work at the ARTery Gallery in Milford, PA and on her blog – randomactsofpiece.blogspot.com.